I started using PHP for a new project that I am working on. I really like it. Here are a bunch of links that I found useful. I just started reading this book, so far so good. I am liking it and will give updates as my progress continues. Ok, this book was very useful in learning the basics and also has a bunch of good examples. Great book. A lot more of the more complex stuff. Like the OOPs stuff and the database stuff. OK, I think this is the best book that I have read yet. 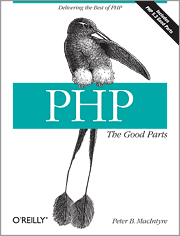 I think this is a great book to get started working with PHP. This book seemed to have all the basic information that I would have needed when I FIRST got started. Give it a shot! 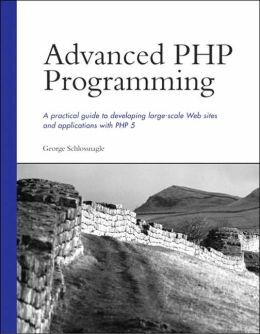 This really isn't a book but I found a great link to 7 FREE PHP Books. I haven't had a chance to take a look at them but they do look great for free. Must applications will need to access some form of data, I found to a video that explains PDO PDO (PHP Data Objects). PDO provides an interface to accessing data, no matter what type of data, SQL, ODBC or MySQL. Here are a couple of articles to help geet started with PDO PHP Database Access: Are you doing it Correctly? This link is specificly for ODBC access PDO with ODBC in PHP 5.1 This link contains Object Orientation Basics and in part 4, information on Implementing CRUD methods. Recently I had to do some emailing from PHP. I found a BUCH of stuff but PHPMailer is what I ended up using, love it and it s FREE and simple. I downloaded the code from the first link but here is another link to what I think is the paid version. Ok, once I finally got my appliction run an running doing updates was a MAJOR PITA. I found a great link to some PHP code for updating your site files. Recently I starting looking into using a PHP framework, well there are quite a few choices out there. 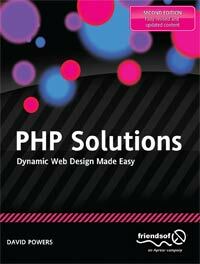 PHP Frameworks is a site that compares the features of some of them. I have started to look into Yii more then the others, seems really cool and complete. Version 2.0 is going to be a rewrite of the framework. I also found a book for the Yii framework, The Yii Book by Larry Ullman. If you are using Ext JS and Yii EXT4Yii is a framework that is indented to make the integration of the two frameworks a lot simpler. Have a look. Here are a few little routines that I found that have been VERY useful. I am always looking for more information and links, so if you have some favorites please send them along.